“Mum, mum, there’s Clarins in the bathroom and – OMG! 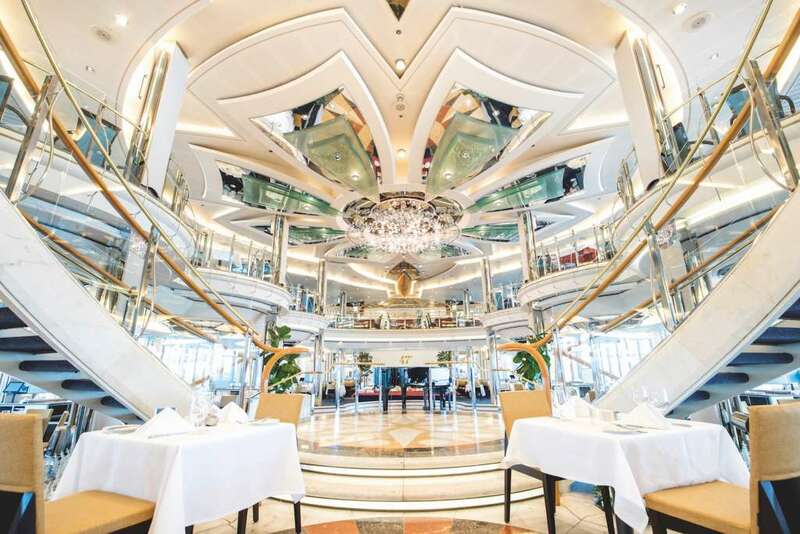 – we could play hockey in the sitting room,” gasped my awestruck daughter Daisy upon seeing our cabin on the Marella Discovery 2 for the first time. She wasn’t kidding. Our Executive Suite, all 47 square metres of it, was as spacious as it was beautiful, while our vast balcony offered more than enough room for a game of French cricket (though ball-retrieval might have proved tricky). It was the last week of the school holiday when we boarded Marella Discovery 2, and the ship was teeming with over- excited youngsters exploring the pool areas (indoor and out), the climbing wall, mini-golf, Virtual Reality Experience, the kids’ clubs and everything else that would keep them occupied during our Spanish Sunsets cruise, round-trip from Malaga. Leaving my three to it, I went to investigate the very inviting Oceans spa and the adults-only Verandah Deck. 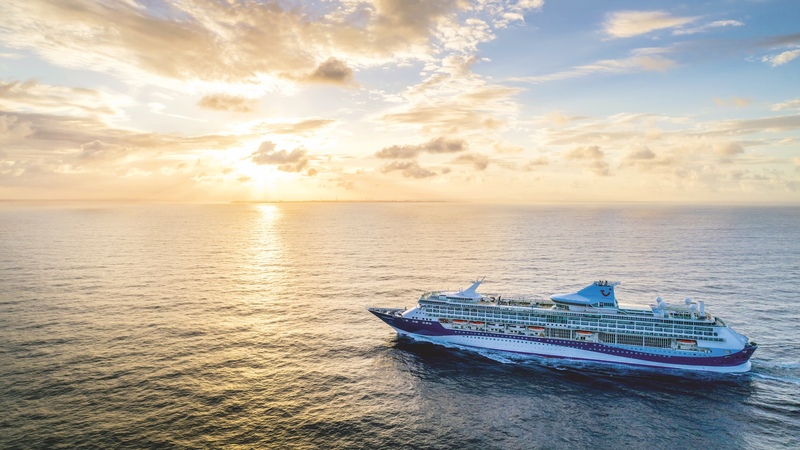 Marella is the new name for Thomson cruises, and the 1,830-guest Discovery 2 – formerly TUI Discovery 2 – is the joint flagship of the fleet. Following a multi-million pound refit, the decor is modern and funky, with Willy Wonka-style lifts in the atrium that went down (and up) a storm with 10-year-old Lily. And the young, energetic vibe extends to the crew, who positively fizz with goodwill. They are expertly led by the incredibly youthful-looking Captain Chris Douglas, who was delighted when a passenger mistook him for a member of the resident boy band on “Dress to Impress” evening (Marella doesn’t do traditional formal nights). to do that we often found ourselves jogging between The Live Room – the main music venue – and activities such as Movies By Moonlight (popcorn and blankets provided) so we didn’t miss a thing. Thank goodness for the free onboard Navigate app, which kept us up to date (this incredibly useful innovation also allowed us to book restaurants, tours and spa treatments without leaving the comfort of our suite). We were so exhausted at the end of each day that we never made it to the giddy heights of the Bar Eleven nightclub, but we did our best to give the restaurants a thorough road test. Our week on board didn’t leave us enough time to sample all of the five free restaurants and cafes, plus four speciality eateries that charge a supplement, but our favourite dinner venue was Gallery 47 ̊, overlooking the glamorous main restaurant with its massive sweeping staircase. We loved the warm reception we received from all the waiting staff almost as much as the delicious Italian menu. For lunch, the brightly coloured Snack Shack was the top choice. Our girls loved the cabana-style booths and the grab-and-go food (chips with everything). Discovery 2 is all-inclusive, apart from some speciality coffees and premium-brand alcohol, so they were free to help themselves to drinks, while we grown-ups had free rein at the lager and wine dispensers in the Islands buffet. Of the speciality restaurants, the Surf & Turf steakhouse proved the most popular, and the excellent quality of the steaks made the £25 supplement seem very reasonable. Unbelievably, given what was on offer during the day, the late-night buffet was also a big hit with the girls (while their mother was grateful for the running track and fully equipped gym where she could burn off at least some of the calorific damage). 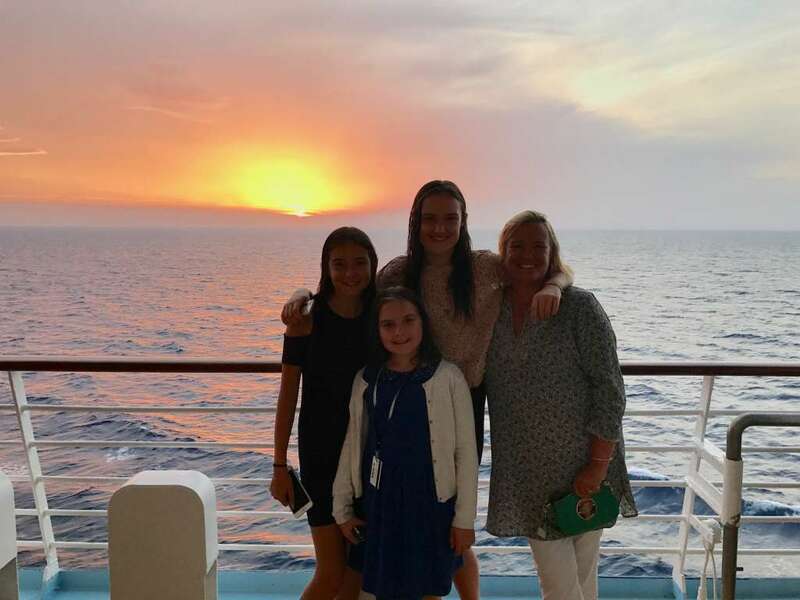 With so much happening on board – including several restorative trips to the spa – I’m amazed that we managed to find time to get off the ship. The Destinations staff came up with an impressive array of excursions in every port, but when we opted to do our own thing in Barcelona they gave us heaps of useful information about the best and cheapest way to get round this fabulous city. We ended up dividing our time between Gaudi’s incredible Sagrada Família cathedral and shopping on Las Ramblas, Barcelona’s famous pedestrianised “spine”, which meant everyone was happy. In the lovely town of Ceuta, a Spanish enclave in mainland Morocco, we decided to take the half-day cycling tour. Unfortunately it all proved a bit too much for young Lily – but instead of making us all go back, the incredibly friendly tour staff took Daisy and Ellie on with them while Lily and I retired to the splendour of our balcony (via a quick photo stop at the Pillars of Zeus statue). The absolute highlight destination-wise was Ibiza (14-year-old Daisy was so excited that she downloaded a phone app to count the weeks, days, hours and seconds before we arrived at “like, the coolest place ever”).